PRESS RELEASE - There is more to biscuits than just simple snacks. With Lotus Biscoff cookies and spreads as ingredients, every meal can be an exciting and filling experience for the whole family. From savory dishes to satisfying in-between-meal treats to mouthwatering desserts, the possibilities are endless with Lotus Biscoff as your culinary companion. Here are just some delightful Lotus Biscoveries that will take you beyond biscuits and onto delectable meals. Lightly butter or grease a griddle or large nonstick skillet. Place over medium heat until hot and drop of water sizzles. Drop batter by scant 1/4 cupfuls (about 3 tablespoons for each pancake) onto hot griddle. Cook until bubbles form and pancakes are golden brown on bottom. Turn; continue cooking 1 minute or until golden brown. 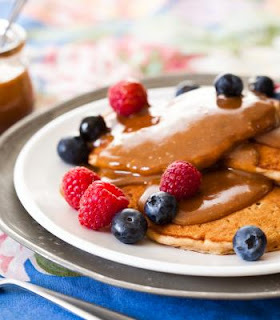 Serve topped with fruit if desired and drizzle Lotus Biscoff syrup (whisk together 1/4 cup Lotus Biscoff Spread and 1/3 cup pure maple syrup) over pancakes. Toss chicken strips with coriander, garlic, and ginger. Add bell pepper strips; stir-fry 2 minutes. Add chicken mixture; stir-fry 4 to 5 minutes or until chicken is cooked through. Add salsa and soy sauce; stir-fry 1 minute. Reduce heat to low; stir in Lotus Biscoff Spread until melted. Stir in basil. 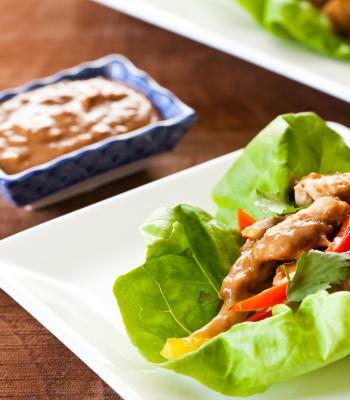 Spoon mixture in lettuce leaves; roll up. Add the banana slices and drizzle with honey. Cook for 3-4 minutes on each side until caramelized and golden brown. Remove from skillet and set aside. Heat a griddle pan, panini press, or skillet over medium heat. Butter one side of each piece of bread. Place one piece of bread, butter side down, on the pan. 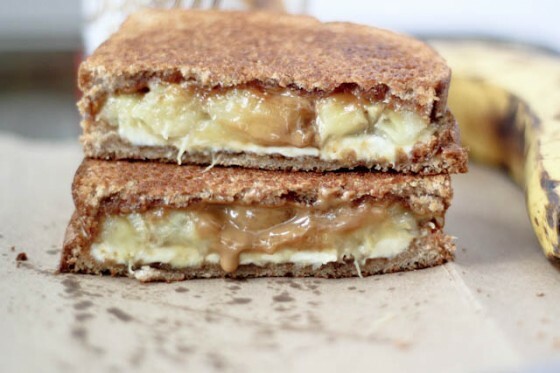 Spread a thin layer (1 tablespoon) of Lotus Biscoff on the bread, top with the bananas and cream cheese. Spread the remaining Lotus Biscoff on top of the cream cheese, and place the other slice of bread on top of the cream cheese, butter side up. Cook the sandwich for 3-4 minutes on each side until the bread is toasty and the cheese is melted. Serve warm. Add the chicken and cook, turning once, until browned on both sides, about 4 minutes total. Transfer to a plate. Reduce heat to medium. Add the remaining oil, garlic, chili powder, cumin, and cinnamon. Cook, stirring, about 30 seconds. Add tomato sauce, broth, chocolate chips, and Lotus Biscoff Spread. Stir to combine. Bring to a simmer. Reduce heat to medium-low, add the chicken and any juice to the pan and turn to coat with the sauce. Simmer until the chicken is cooked through, about 5 minutes more. Cool slightly and shred the chicken with two forks or kitchen shears. 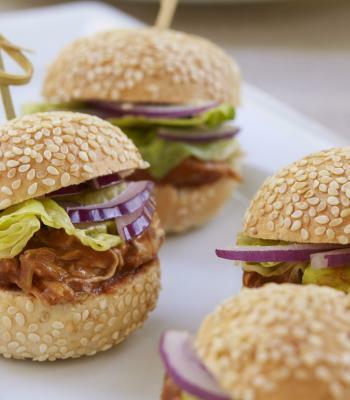 Serve on soft rolls with red onion and lettuce. Place the popped popcorn in a large bowl and add salt to taste. Set aside. Mix the honey and sugar in a small saucepan and bring to a boil. Let it simmer for about 2 minutes, then remove from the heat and add the Lotus Biscoff Spread. 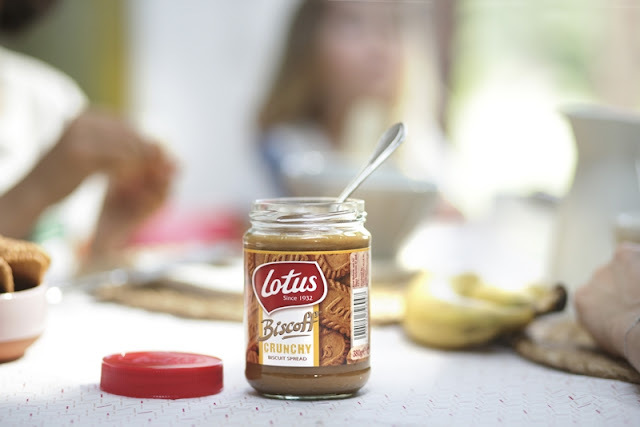 Stir until the Lotus Biscoff Spread is melted. 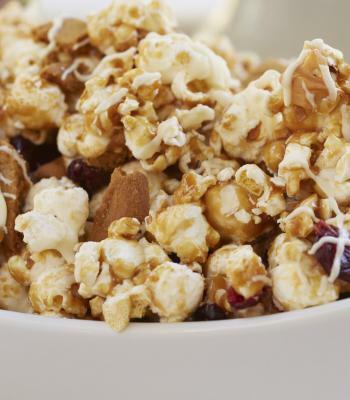 Pour the mixture over the popcorn and gently stir with a spoon or spatula. Stir in the chopped Lotus Biscoff cookies. Spread popcorn on a large baking sheet. 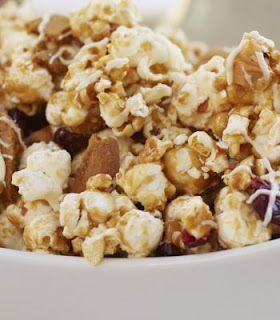 Drizzle popcorn with melted white chocolate and let sit until chocolate hardens.